A regularly updated blog is one of the most powerful online tools a business can use to communicate with its customers, and also has SEO benefits in that it provides your site with regularly updated fresh content. 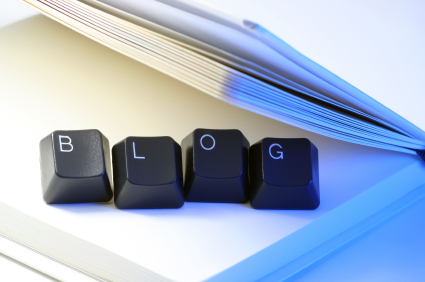 Once you get the hang of it blog writing is also relatively simple and quick to do, and to give you a head start here are the basics of good blog copywriting. The key to choosing a good topic is to ask yourself what would your blog following like to read, and what is most likely to be useful to them. Once you’ve decided on a topic keep it in mind throughout the blog writing process and try not to deviate too far from it. To take full advantage of the SEO benefits of a regularly updated blog you need to show Google and the other search engines that your content is relevant to users’ queries, and keywords are the way to do so. There are a variety of online tools you can use to select appropriate keywords for your blog and once you have a selection to choose from you should aim to include 1-3 different keywords per post. It’s important though that your keywords don’t get in the way of the readability of your post. One of the key skills involved in blog copywriting is to integrate your keywords in a seamless and natural way. It’s also not necessary to use them continuously – around 1-3 times per keyword should do the trick. Structure is also a key component of an effective blog post. Your post should generally start with an introduction to the topic which compels the reader to read on, flow into a more in-depth discussion and then finish with a conclusion which neatly links back to your intro. If appropriate you should also include a CTA, or ‘call-to-action’, which provides details of what do next. It’s also important to break up your post so that it’s easy to read. Aim to use short paragraphs, subheaders and bullet points. The title is what initially draws readers in, so spend a few moments crafting one that is catchy and compelling. It should describe succinctly and accurately the content of the post, and indicate what visitors stand to gain by reading it. Linking to other relevant content on your own site or elsewhere on the web can provide readers with valuable extra resources, and can also help your SEO. There is of course a craft to blog writing and if you feel you lack the skills, or the time, it may be worthwhile to hire a professional blog copywriter. They can craft regular posts which engage your target audience and fulfil your SEO goals. 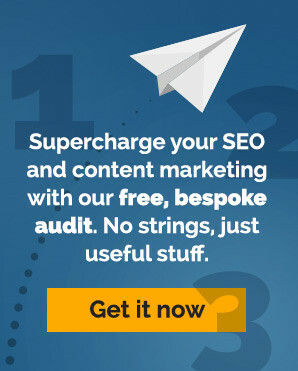 ← Bigger SEO copywriting ideas: What if?